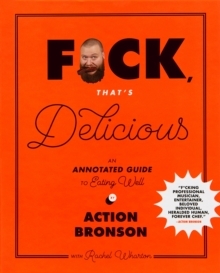 Part cookbook, part memoir, part travelogue, and wholly original, F*ck, That's Delicious is rapper Action Bronson's comprehensive guide to the food, chefs, food makers, regions, neighborhoods, and restaurants that every food obsessive should know. Organised as a full-colour illustrated guide with 100 entries, the book captures all the foods that get to him: When his mama makes him a good ol' bagel and cheese with scrambled eggs. The tacos in LA. Dominican chimis. Jamaican jerk. Hand-rolled pasta from Mario Batali and Michael White. The best Chinese red-pork char siu buns in the world, found in London. And more, lots more. 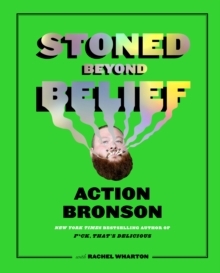 F*ck, That's Delicious also includes 40 recipes inspired by Action's childhood, family, tours, and travels-like the Arslani Family Baklava and Bronson's Original Lamb Burger-and adapted from name-brand chefs and street cooks he's met on his show. Richly visual, the book is layered with illustrations and photographs of Action's childhood, food excursions, tours, lyric notebooks, and more.